Needless to say, the Education Ministers acknowledge the use of Information and Communications Technology (ICT) in reaching the unreached and in sharing quality education for teachers in the different levels of education through SEAMEO’s innovative technology but there is a need to be consolidate efforts in the spirit of SEAMEO family. 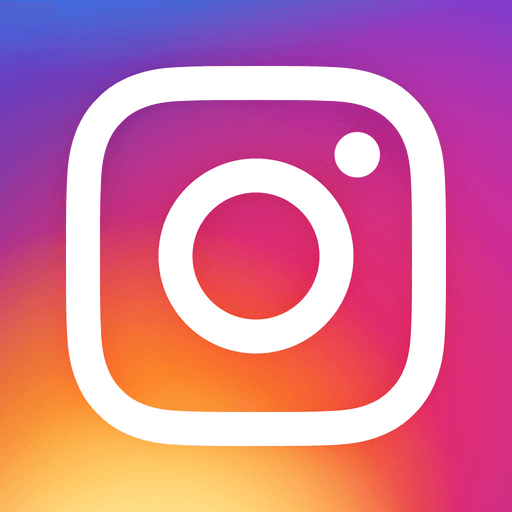 Globally, the Massive Open Online Courses (MOOCs) paved its way in 2012 when it penetrated the web in making educational content and lectures available to anyone at any time and any place. Ivy League Schools have opened the MOOCS programmes which generated a lot of interest from the region. MOOCs have consequently provided ways for lifelong learning and MOOCs is an innovation that is here to stay, but education leaders need to determine how it can contribute to SEAMEO 7 Education Agenda towards the achievement of Sustainable Development Goal no 4 in terms of technology, pedagogy, content and knowledge. SEAMEO has introduced Online, blended and fully on-line courses and presently developing Open Educational Resources (OER) for the use of free and open courseware, pursuant to the 2012 World OER Congress, the Paris OER Declaration as well as conducting online lecture series and training programmes by the supports from centres and partners. SEAMEO Centres such as SEAMEO SEAMOLEC, SEAMEO INNOTECH and SEAMEO RIHED have been leading the discussions and utilization of Open and Distance Learning (ODL) before the emergence of MOOCs as its latest modality, SEAMEO plans to consolidate all the outstanding MOOCs providers in the region and document best practices. SEA-MOOCs Network is developed to address some of the challenges of education such as limited education institution capacity; low education institution affordability due to uneven distribution; still many education institution that do not have adequate education resources and quality, higher quality education institution are still concentrated in the particular places; still low quality of equal and quality education services; and the low guarantee of meeting the needs and demands of education quality. The SEA MOOCs Network is envisioned to contribute to capacity-building in the between and among countries, and among universities and MOEs in the region as well as to discuss the capacity of member countries to access, re-use and share Open Educational Resources. The SEA MOOCs Network is organized to support the SEAMEO Seven Agenda and the Ministers Call for Action as stated in Bandung Statement and the Action Agenda. It will also support the UN Sustainable Development Goals, particularly providing accessible quality education for all. Determine the status of MOOCs and ODEL (Open and Distance Learning) programmes in Southeast Asia countries. 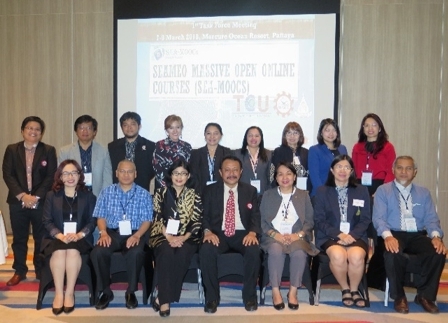 Formulate strategies on how to provide a platform for Southeast Asia MOOCs (SEA MOOCs) and use it better for equitable and accessible quality education for all. Gain better understanding on Open Educational Resources and the Creative Common Licenses for a better MOOC in Southeast Asia. 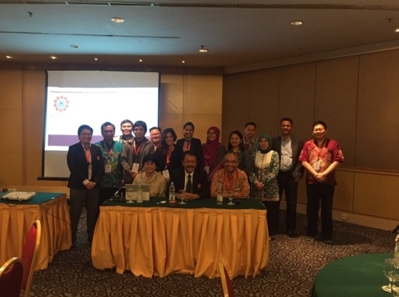 The 1st meeting of SEA-MOOCs High-Level Forum conducted on 23-24 December, 2016 in Jakarta, Indonesia. This meeting organized by SEAMEO Secretariat and the Ministry of Research, Technology and Higher Education (MORTHE), Indonesia. The two-days meeting convened experts and policy makers from three countries in Southeast Asia (Indonesia, Malaysia, Philippines) and SEAMEO Centres to explore opportunities to convene SEA MOOCs Network for capacity-building in the between countries, and among group of countries in the region. The meeting also emphasized the SEA MOOCs architecture and quality assurance that will be very important in the very early stage of development. The SEA-MOOCs would be the answer of the challenges in the future for HEIs as the agent for economic development, especially in terms of how vocational stream HE can produce skilled workers, innovative, and competitive. The 2nd meeting of SEA-MOOCs Network with the theme Accessing, Using and Sharing Open Educational Resources conducted on 2-3 November 2017 in Bali, Indonesia. This meeting organized by SEAMEO Secretariat and the Ministry of Research, Technology and Higher Education (MORTHE), Indonesia. The aims of this meeting to share present development, opportunities, issues and challenges in the SEA-MOOCs Network. The SEA-MOOCs is envisioned to contribute to capacity-building in the between and among countries, and among universities and MOEs in the region as well as to discuss the capacity of member countries to access, reuse and share Open Educational Resources. The two-days meeting convened experts from the Ministry of Education (MOE) and Ministry of Higher Education from six countries in Southeast Asia, universities and SEAMEO Centres namely: Ministry of Education Brunei Darussalam, Ministry of Education, Youth and Sport Cambodia, MORTHE Indonesia, Ministry of Higher Education Malaysia, Commission of Higher Education Philippines, Ministry of Education Thailand, Universitas Terbuka, University of the Philippines Open University (UPOU), Sukhothai Thammathirat Open University (STOU), Hanoi Open University (HOU), Yangon University for Distance Education Myanmar, Universiti Putra Malaysia, Thailand Cyber University, SEAMEO BIOTROP, SEAMEO INNOTECH, SEAMEO SEAMOLEC, SEAMEO RETRAC, SEAMEO RIHED and Turku University, Finland. The meeting presented the recent state of the arts of MOOCs in SEAMEO Member Countries and beyond and it held a forum on the establishment of SEA-MOOCs Network to strengthen the consensus in higher education community about the importance and popularity of the MOOCs movement, mainly by its international scope and the opportunity to offer a diversified higher education through prestigious institutions, which even recently was only possible for a small group of people. The forum acknowledged that the SEA-MOOCs Network could present an opportunity for emerging research in the coming years in some priority research areas such as technology architecture (models and tools in the service of masses), pedagogical model’s reviews and the principles on which it is based (monetization, assessment, accreditation, etc. ), implications for rethinking course offerings, and the educational model of Higher Education. The forum also suggested to develop a Task Force that will develop the TOR of the task Force and discuss the next meetings. SEAMEO wished to collaborate with Open Universities to contribute to the promotion of SDG 4 and SEAMEO Education Agenda- inclusive education and lifelong learning for all. SEAMEO MOOCs Network initiatives presented during the 40th High Official Meeting (HOM), 29-30 November 2017 in Bangkok, Thailand. Currently, the working paper is in the process of endorsement by SEAMEO Council that consist of all Ministers of Education in Southeast Asia. The 1st SEA-MOOCs Task Force Meeting conducted on 7-8 March 2018 in Pattaya, Thailand. It was organized by SEAMEO Secretariat collaborate with Sukhothai Thammathirat Open University and Thailand Cyber University. The forum attempts to established a task force to work on development of SEA-MOOCs platform and activities; identifying TOR of the SEA MOOCS Network key issues that must be addressed in order to ensure that deliverables of SEA-MOOCs meet the charge; formulate proposal to synergize all MOOCs programmes in the region and use it better for equitable and accessible quality education for all; and plan the roadmap and timeline in implementing the SEA-MOOCs to be ready offered to the community in Southeast Asian region. The meeting involved the representatives from SEAMEO INNOTECH, SEAMEO RETRAC, SEAMEO SEAMOLEC, Ministry of Higher Education Malaysia, Thailand Cyber University, UPOU, Open University Malaysia (OUM), Universitas Terbuka, HOU, and STOU. Vision: A regional network promoting leadership in massive open and online courses for learners of Southeast Asia. Mission: SEAMEO-MOOCs Network provide accessible, inclusive, quality innovative lifelong learning programs in Southeast Asia. Planning on development SEA-MOOCs Network platform and activities. Formulate proposal/s to develop MOOCs programme regionally that incorporate cross institutional collaboration. Suggest key activities for the next three years (2018-2020). The forum agreed to conduct regular meeting twice a year that will be consist of Task Force Meeting and Network Meeting. The meeting could be conducted back-to-back with members’ key events or SEAMEO events and other coordination and possible meetings may be conducted virtually. The four possible SEA-MOOCs flagship projects identified to be proposed and presented in strategic lab session during UNESCO Mobile Learning Week Project 2018 on 27-28 March in UNESCO HQ Paris. In these projects, SEAMOLEC proposed to be a leading unit to coordinate with other members as well as supporting in technical implementation. The forum also proposed 3-years action plan identified the possible activities of the network such as capacity building on innovation and product development; knowledge sharing and management; teaching and learning/pedagogy and other. The upcoming SEA-MOOCs Network meeting tentatively will be conducted on November 2018 in Malaysia.